I’m back after two weeks well earned break on the south coast of England. 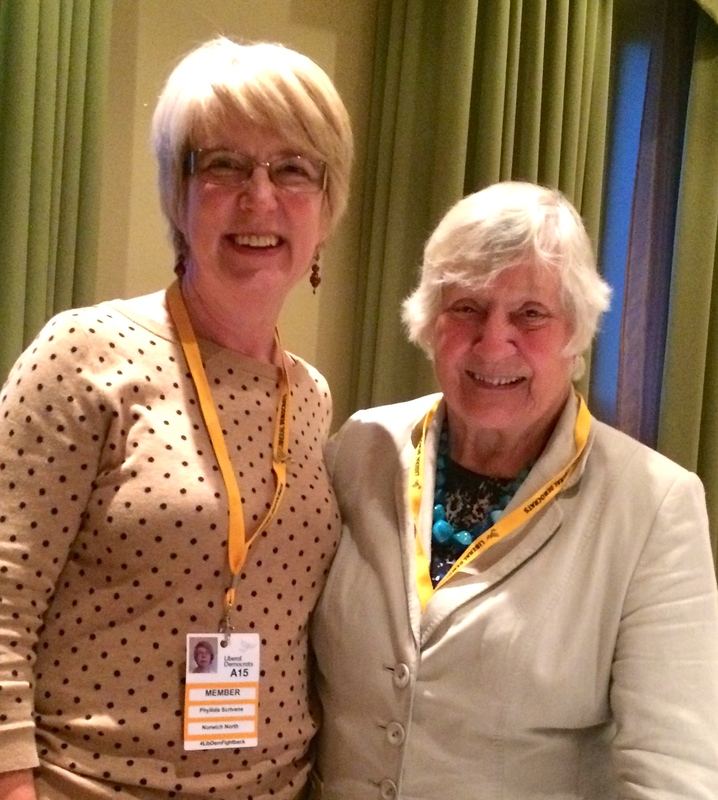 A highlight was attending the Liberal Democrat Conference and who did I seek out especially to say hello? Shirley Williams of course, whose foreword now graces the early pages of Escaping Hitler. It was wonderful to see her again and thrilling that she remembered me and the book – she is very much looking forward to reading it. She sent her best wishes to Joe Stirling in Norwich, her past agent during her very first by-election in Harwich in the 1950s. She kindly posed for some photographs with me. An update for those who are interested – marketing form completed and returned to Pen and Sword Books, index is a work in progress on my computer, appointment with Jarrold Book Department in diary to discuss February launch, Pen and Sword are taking the book proposal to German publishers at the Frankfurt Book Festival in a couple of weeks and I am about to contact my Koblenz colleagues to discuss signing in Germany during May next year. Very excited…..